Alt-rock legends Alice in Chains are coming down-under as part of Download Festival in Australia, while also jumping across the ditch to New Zealand to perform a one-off show in Auckland. The band originally was booked to play The Logan Campbell Centre but with tickets selling like hot-cakes they have been upgraded to The Trusts Arena out west. Don’t miss out on seeing these icons in Auckland next month, tickets are on sale now! 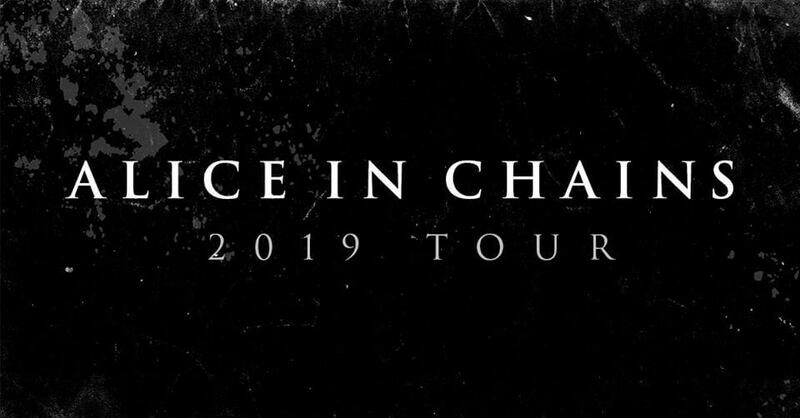 Alice In Chains is touring in support of recently released album ‘Rainier Fog‘ ,which debuted at No.1 on Billboard’s Rock, Alternative and Hard Music Charts and No.1 on the iTunes Rock Album Chart. Part of Rainier Fog was recorded at Seattle’s Studio X, the same facility where the band tracked 1995’s self-titled Alice In Chains album (back when the studio was known as Bad Animals). It was the first time the band recorded in Seattle in 20 years. The Rainer Fog recording process also saw the band spend time at Henson Recording Studios in Los Angeles and at the Nashville studio of producer Nick Raskulinecz (Foo Figthers, Rush). Rainer Fog is the third straight Alice In Chains album recorded with producer Raskulinecz and engineer Paul Figueroa. The album was mixed by Joe Barresi (Queens of the Stone Age, Tool).